Ginseng (Panax ginseng) is a perennial herbaceous tap root plant native to South Korea. 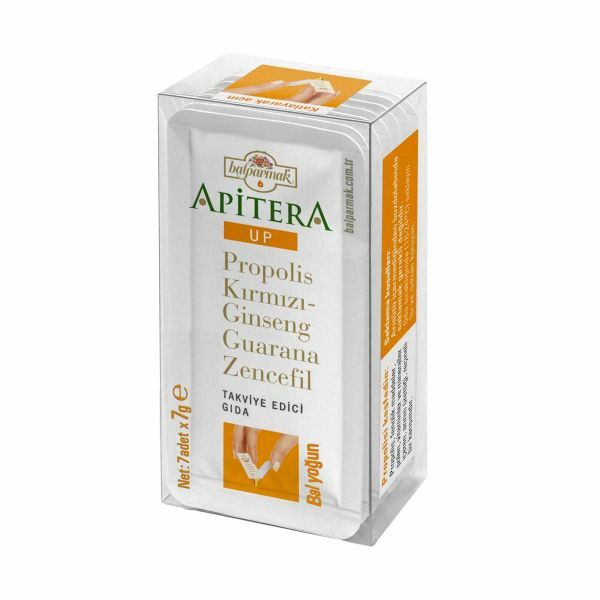 Its botanic name is “Panax,” which comes from the Greek word “panacea,” meaning “cure-all.” Ginseng has been used for centuries in traditional Chinese and Indian medicine. Guarana is a tropical plant species bearing red fruit. The caffeine derivatives it contains give guarana a stimulating effect. One pack contains 12 ApiteraUp boxes, with one box containing 7 7-gram ApiteraZen sachets. It is recommended to consume 3 sachets per day. 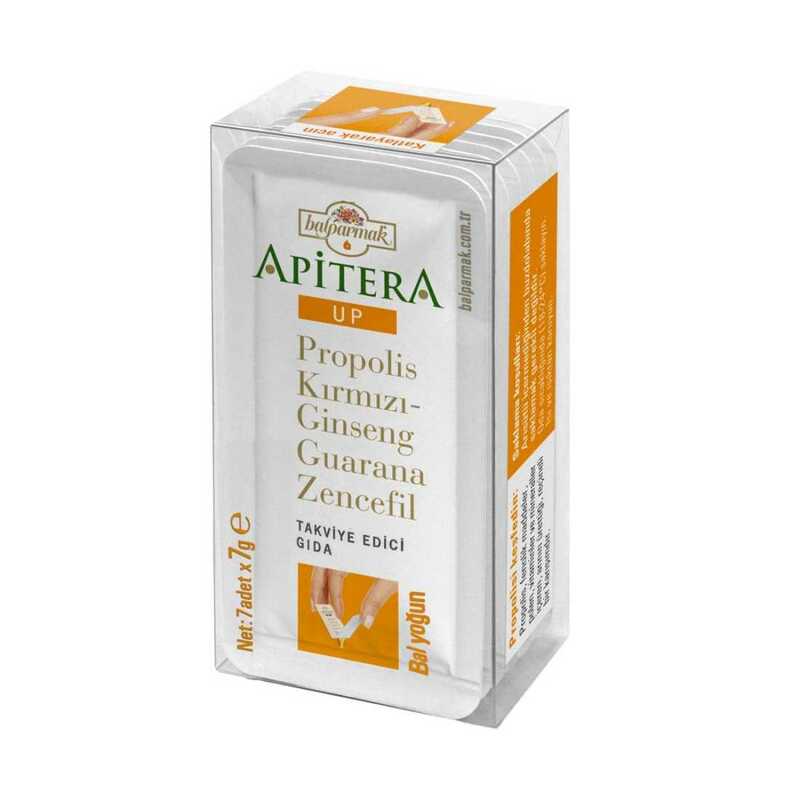 You can consume ApiteraUp on its own or stirred into herbal tea.